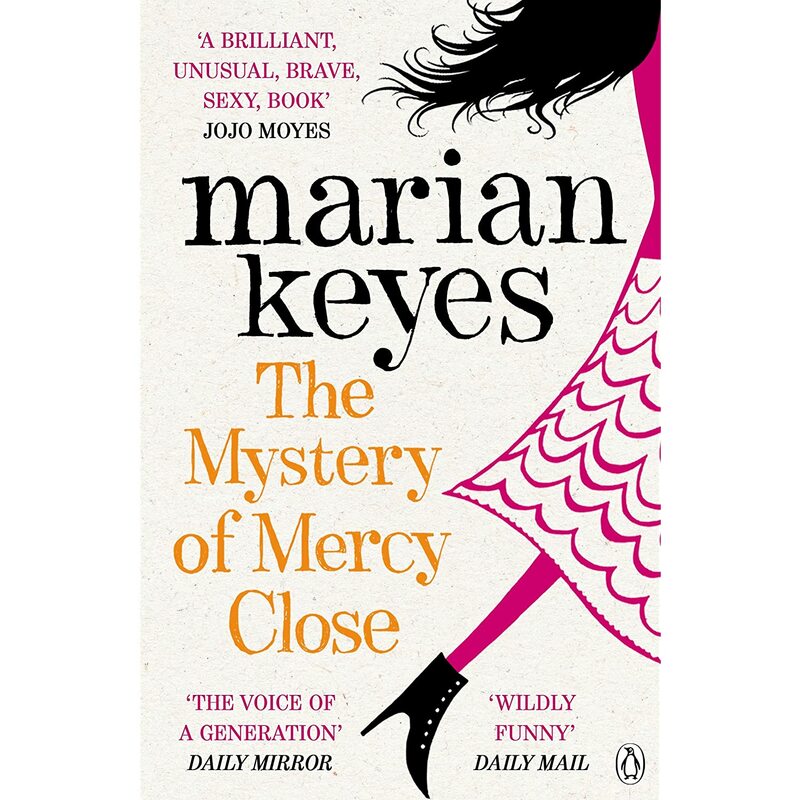 I make no secret that Marian Keyes is the wonderfully funny Irish voice of female contemporary fiction (more commonly termed 'Chicklit' which has since become a kind of 'Eff word' amongst female writers) who made me suddenly sit up straight - no mean feat as I was pregnant at the time - and realise that THIS was how I wanted to write and it was very OKAY to do so. Before Marian came along I'd always thought that to write anything that would be taken seriously by readers (and publishers and agents although I didn't really take them into account at the time - I was still a 'dabbler') I'd have to have a working knowledge of bridles, saddles, uper echelons and general animal husbandry with a particular expertise in the breeding department; for until there was la Keyes, my particular Bible of reference had been the very jolly Jilly Cooper. And so began my love affair with Marian's writing and in particular the fictitious and wholly down-to-earth Walsh family. Claire Walsh, the heroine in 'Watermelon' had been deserted by her husband whilst in the throes of childbirth and her story had me gripped by the funny bone and stirrups of an entirely different kind from the 'off'. I still remember the line (although I'm not going to quote it here as the book's in a box somewhere and I don't want to mis-quote it) that hurled me headlong into the Keyes' mosh-pit and it was the one that told us, the dear reader that Claire's other half had left her for an older, overweight woman called Denise who lived in the flat upstairs. Not a Henrietta (Hooray or otherwise) in sight. Much less a stable boy with a six pack and other fine accoutrements. The toes that I'd always had dipped tentatively into the pool of writing had finally found the rest of their feet and I was away. Still in the toddler end, of course, but I felt more like a proper swim than I'd ever done.I'm not sure I even had my armbands still on. *end of analogy lest it becomes overly damp*. There followed (and I'm no good with orders so these are NOT IN one) Margaret ('Angels'), Rachel ('Rachel's Holiday') Anna ('Anybody Out There' - I sobbed like a baby at the end of this and couldn't breathe for the weeping - in a good way). So when I noticed that Helen Walsh (the youngest of the clan) was getting her story out there, well, I had to see how she was getting on. Which I was very unsure about. Considering the last Marian Keyes' book I read (not a Walsh family thing but 'The Brightest Star in the Sky') I hadn't liked. And I make no bones about it. I just didn't. I really, really didn't. But I know people who LOVED it. Positively raved about it. Not me. I did what my Nan used to tell me and said nothing. Because it's nicer than saying something not nice. 'The Mystery of Mercy Close' is a brick of a thing. It properly hurt my hand keeping it propped up in bed reading it, but I don't care. It was worth all the pain and the pain persisted for longer than usual because I kept slowing down and savouring the words - a definite sign I'm LOVING something. Anything in fact. Don't we all chew slower if something's tasty? I didn't want this swallowed in one go and so it took me a lovely, glorious, gentle, happy-filled week to read this truly wonderful book. Helen Walsh is the youngest of the Walsh family. 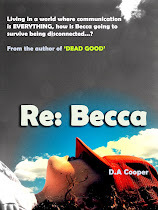 She's had a chequered past and her emotional instability was ironically the lynchpin that kept the whole story so firmly grounded. I loved that she couldn't be arsed most of the time; that being nice to people irritated the hell out of her and she couldn't stand being in anyones company for too long. I didn't find her 'shovel list' (a list of all the people and things she hates so much she wants to hit them in the face with a shovel) too annoying because it helped to understand her nature that much more - I did though, find the repetition of her 'surprises/category:'slightly grating but this didn't in any way diminish the enjoyment of what was a thoroughly ripping yarn (did I really just say that?). We all know Marian has been plagued with the black dog of depression and it's common knowledge that through baking muffins and fancy fondants she's eased herself out of the quicksand and back onto the royale icing , so it's understandable that dark days and suicidal angst should feature so strongly in this book. Although it did nothing to undermine the supremely enjoyable character of Helen Walsh and in fact made me love her even more. A positive, rounded, more human fictional character I have yet to meet. Marian, I salute you. You are one hell of a woman if you don't mind me saying so. Beautifully put! And yes, I'm a big fan of Marian Keyes too, even though there's very little other chic lit floating my boat. Her humour and timing are excellent and even when she's telling a basic love story, she manages to bring in a bit of satire. I was in the doldrums with reading many years ago and Rachel's Holiday got me back on track - so I won't have a bad word said against her! So glad she seems to have kicked the black mist into touch.